Whiskers are long, course hairs that are most prominent on the sides of the cat face, but shorter whiskers are also common above each of the eyes as well as on the jaw line and on the back of the front legs. Cat whiskers are not just long hairs, however. In fact, unlike hair, whiskers are actually touch receptors called vibrissae, which are embedded deep into the cat’s body—much more so than the short hairs of their fur coats. Similar to human hair, cat whiskers fall out and re-grow. By, DO NOT even think about trimming your cat’s whiskers! Cutting, trimming, or grooming a cat’s whiskers is a huge no-no. A cat without his mighty whiskers is not a happy cat, to say the least. So why exactly do cats have whiskers? Whiskers are like a cat’s built in radar system. I know, there must be a spy program for cats, right? There is a tiny sensory organ at the tip of each whisker, called a proprioceptor, which is connected to the cat’s sensitive muscular and nervous systems. These little sensors constantly send information about the cat’s environment directly to the sensory nerves. In normal person speak: whiskers collet all sorts of signals, giving cats heightened senses of feeling to help them detect and respond to changes in their surroundings. Cats need their whiskers just like we humans need our touch receptors to navigate and alert us to potentially dangerous or painful situations. Whiskers help cats to dictate the position of their body and limbs, allowing them to instantaneously choose their next appropriate movement for any given situation. Cats use their whiskers to visually measure distance and depth, helping them to gauge whether or not they can fit into tight spaces or clear tight corners. Cats especially use this super power during the night when they’re hunting. Their whiskers help them to move around on the sly, allowing them to prowl around without hitting against anything and notifying the prey that they’re about to pounce. Whiskers allow cats to detect not only the air currents, but also vibrations. This fancy trick also comes in handy when cats are chasing prey. Aside from helping cats to navigate, whiskers serve as a barometer for cat mood. For example, when a cat is chillaxing or happy, his whiskers will be mostly immobile. When a cat is in a bad mood or scared, his whiskers will be in backward direction. When you play with your cat, you may notice his whiskers point forward. This is essentially your cat’s game face and a sign that he’s in hunting mode. Whiskers detect movement and send the signal to the brain in case of danger. 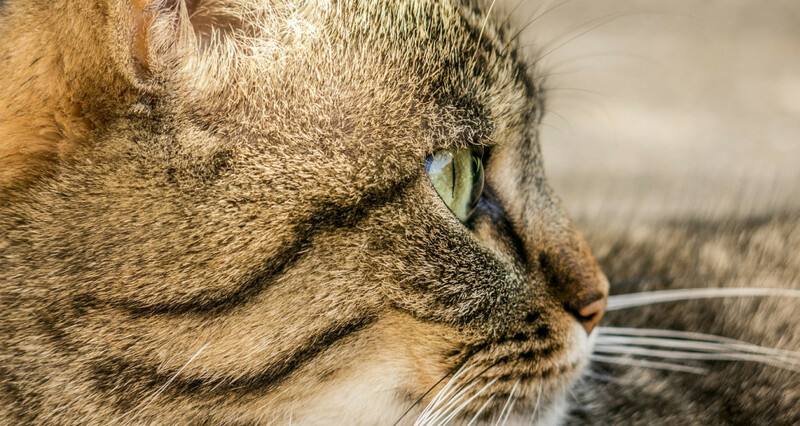 Cats process the feedback from their whiskers as a guiding signal apart from their other senses such as sight and hearing. Cats rely most on their whiskers when exploring the unknown.